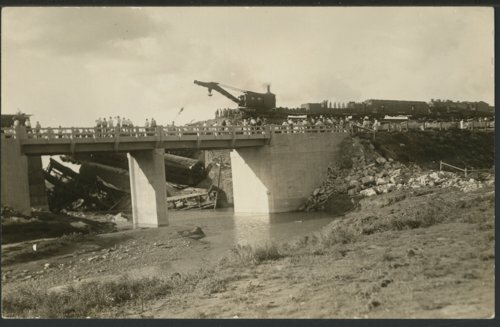 This postcard shows a train wreck in Seward County, Kansas. The train is in a river/creek and many people are looking at it from a bridge. There is also a crane, apparently to move the train wreck, on a flat car and other railroad cars in the image.